If you’ve already booked your trip to Cape Town and keen on spicing up your holiday a bit, then you’ve come to the right place! 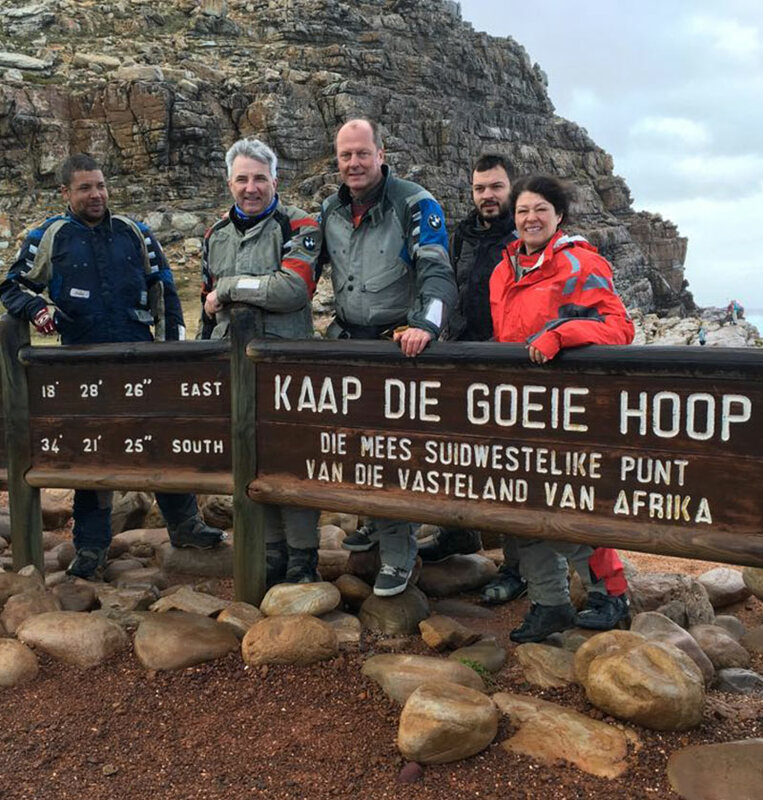 We’ll take you for a guided day trip to the Cape of Good Hope and back again astride the latest BMW motorcycle. This tour is ideally suited to the on-road enthusiast, no dirt road riding involved. This trip will commence at our depot at the Waterfront, here we’ll get the formalities out of the way as quickly as possible and introduce you to the motorcycle. From there we’ll travel in the False Bay direction. This will take us through charming seaside suburbs like Muizenburg, Fishhoek and Simon’s Town. Muizenberg was once the home of Cecil John Rhodes, one time governor of the Cape and founder of the renowned De Beers diamond empire – his cottage is now a museum. Simons Town on the other hand was established in 1743 as a port. The village was taken over by the Royal Navy in 1814 who handed it over to the South African Navy in 1957. Twenty-one buildings in St Georges Street are over 150 years old and form what it today known as the historic mile. It is a popular walk along pavements once trodden by Admiral Nelson. Simons Town is also known for its beach, The Boulders, so called due to the massive rocks to found there. The beach penguin colony is one of only two mainland breeding colonies of the jackass penguin. We’ll be making a stop here in Simons Town, which is not far from Cape Point. Before reaching the actual point, we’ll be making our way through the Cape Point Nature Reserve, which was first named “Cape of Storms” by early seafarers. Here we’ll have a light snack before a brisk walk to the top of the 678 metre high peak. The less sporty can catch a ride on Africa’s only funicular instead. We’ll be travelling back via Scarborough, Kommetjie and Noordhoek, along the world famous Chapman’s Peak Drive, which has re-opened on December 20th 2003. Here you’ll be afforded breathtaking sea-views and plenty of photo opportunities. We should be back in Cape Town proper by late afternoon. 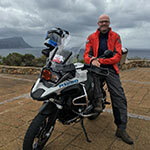 After handing back the motorcycles, we’ll either take you back to your hotel or a venue of your choice within Cape Town.